Ultrabooks are slim and sleek, but they often lack Ethernet ports that allow them to connect to faster gigabit LANs. 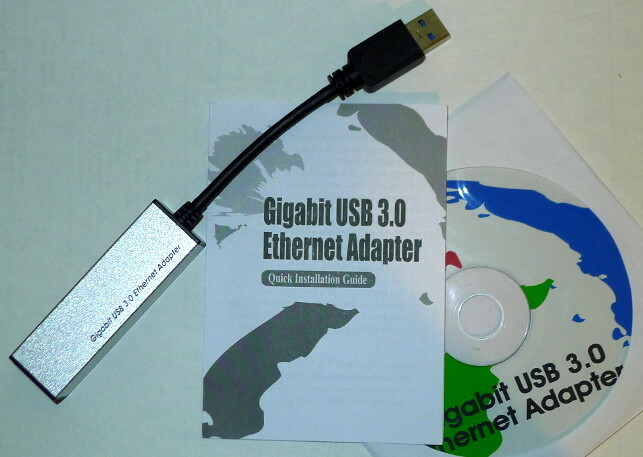 There are also times when it would be convenient to set up a “quickie” Gigabit Ethernet port in Linux without having to power down the computer and install a network card. And yet another scenario involves a limited 10/100 Ethernet-equipped netbook. Is there are way to connect devices to a wired gigabit LAN and enjoy faster transfer rates? Does such a device exist that is Linux-compatible? Yes, there is, and one such device is the Ableconn Gigabit USB 3 Ethernet Adapter. This is a small adapter that plugs into any USB 2 or USB 3 port which then connects to a wired Ethernet LAN via a network cable. It operates exactly like a network interface card, and it is 100% plug-and-play compatible with Linux. After playing with this device for a while, I have found it to be an indispensable addition to the networking arsenal. It appears to be a USB stick like any other. The plastic cap. The elongated case. The USB 3 label. 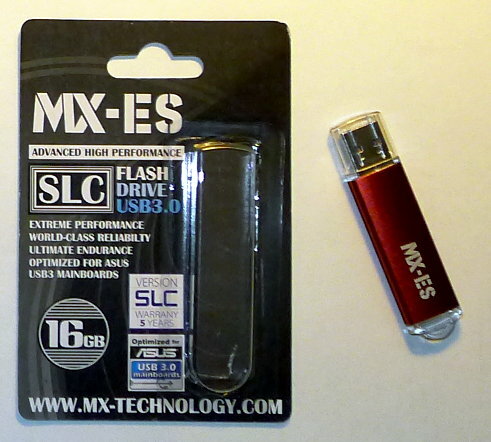 But to think “it’s just another USB device” and pass it by would be a terrible mistake because the Mach Xtreme MX-ES SLC USB 3.0 Flash Drive is anything but regular. Appearances are deceiving, for I am using what is undoubtedly the fastest USB stick I have ever encountered. While other high-end USB 3 sticks are available, this particular device is a champion performer among champions at a low cost, and it is the first USB stick I have used where the write speed equals or exceeds the read speed! How fast? When plugged into a USB 3.0 port, this device typically reads at a consistent ~160 MB/s and writes at a consistent 170 MB/s. Sometimes it hits 180 MB/s when reading and writing. And it works with Linux. Would you like to have a faster home network? Do you have any spare network interface cards (NICs) lying around unused? Do you run Linux? If yes, then you can put your spare hardware to good use to increase the speed of your LAN and increase its fault tolerance. Link aggregation, also known as port trunking or bonding, lets you pair a group of network cards together so they operate as a single, faster logical network card. Despite the intimidating name, link aggregation in Linux is inexpensive, simple to set up, and supported natively. No need for special vendor drivers or program recompilation. Once set up and running, operation is transparent to programs. Just use the network like you normally would. 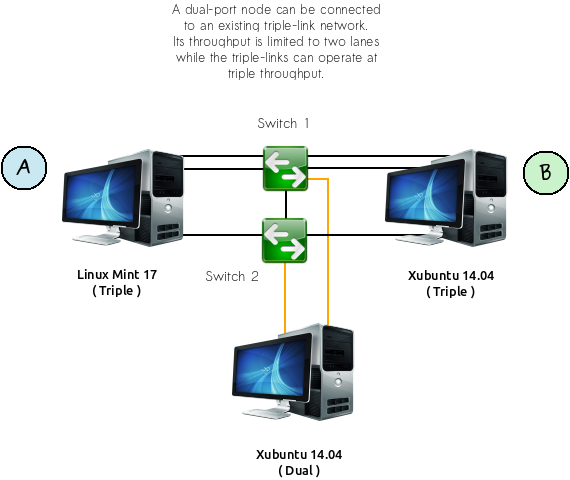 This article shows how to set up link aggregation in Linux Mint 17 and Xubuntu 14.04 using everyday, consumer-grade gigabit networking hardware. Stuff you might already have. Nothing fancy, complex, or exotic. Throughput boosts from 1 Gb/s to 2 Gb/s or 3 Gb/s depending upon the number of network cards and ports used. The keyboard, mouse, and monitor are among the most important hardware components for a computer system because they are what we interact with. Struggles and frustrations with any of these devices make computer usage a chore, so why not improve these items to make computing more fun? 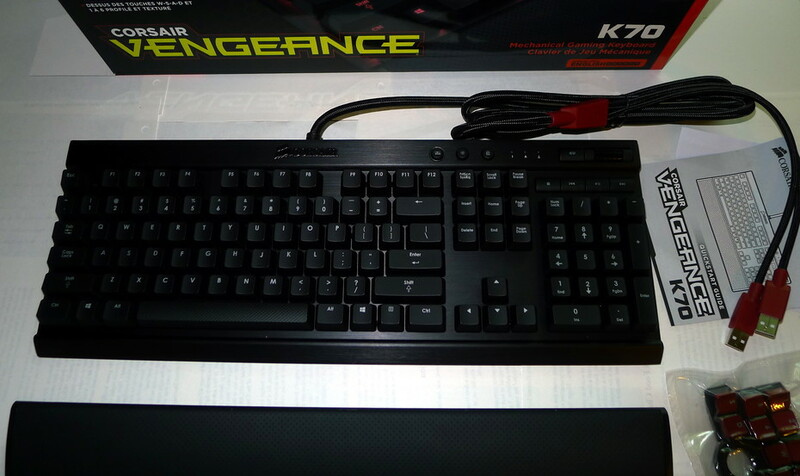 One quality keyboard is the Corsair Vengeance K70. It features mechanical keys, backlighting, excellent tactile response for improved typing, extra WASD keys for gaming, and some of the best multimedia keys I have ever used on a keyboard. I had the chance to use this keyboard, and I am impressed! There are a few minor issues involving Linux, but overall, I am pleased with this keyboard. Here are my thoughts.